If you don’t have a sacrifice area for your horses already, fall is the perfect time to create one. A sacrifice area can be a small corral, a pen, or even several individual runs—an area which is “sacrificed” for the overall health of your pasture. Most grasses go dormant in colder seasons which makes grazing and trampling especially harmful during this time period. By keeping horses off pasture during winter and early spring, you can help restore the health of your grass. 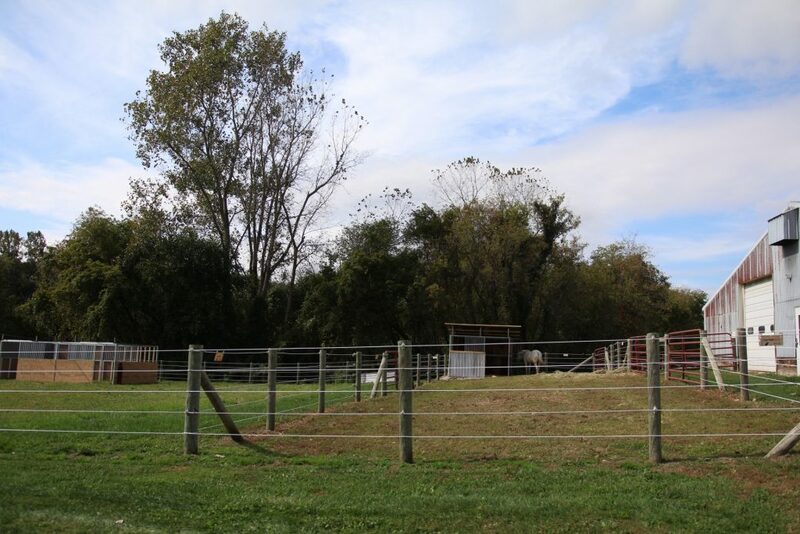 However, a sacrifice area can also be great for separating horses, confining sick or injured animals, or even just controlling the amount of grass your horses are able to eat year-round. 1.) Begin by choosing a location on higher ground, away from streams, ponds, or muddy areas. Having access to your barn or another form of shelter is also important when choosing the location. 2.) Sacrifice areas can vary in size from a small run to an arena-sized enclosure. The number of horses, their temperaments, the amount of land available, as well as how much outside exercise your horses receive should all be considered when choosing the size of your sacrifice area. 3.) 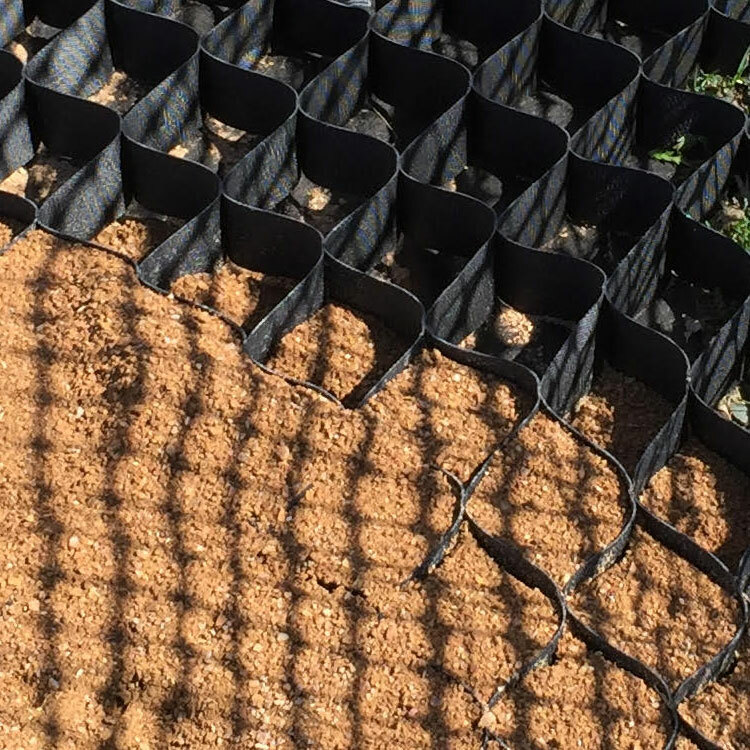 Mud management is very important with sacrifice areas so providing footing such as wood chips, half inch (or smaller) angular crushed rock, or sand is often a good idea. Angular crushed rock with fines will provide drainage as well as soil stability. If using sand, avoid feeding hay or feed directly off the ground. 4.) 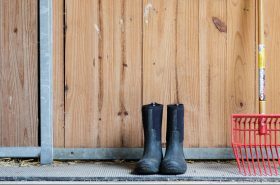 Since confining your horses means you will have a concentrated area of manure, you will need to manage it by picking up manure once daily or every few days. 5.) Choose safe fencing for your sacrifice area, especially since confined horses may be more likely to test your fence. Electric tape fencing can work well for temporary sacrifice areas and braided electric fence can act as a good deterrent to keep horses away from more permanent fencing. Creating and using a sacrifice area may take a little trial and error on your part, but your pasture will definitely be better off for it! **Casie Bazay is a freelance and young adult writer, as well as an owner/barefoot trimmer and certified equine acupressure practitioner. 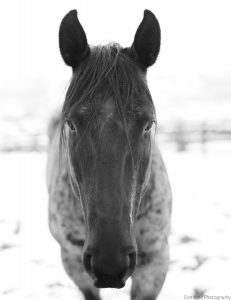 She hosts the blog, The Naturally Healthy Horse, where she regularly shares information on barefoot, equine nutrition, and holistic horse health. Once an avid barrel racer, Casie now enjoys just giving back to the horses who have given her so much. Follow Casie at www.casiebazay.com. Casie Bazay is a freelance and young adult writer, as well as an owner/barefoot trimmer and certified equine acupressure practitioner. 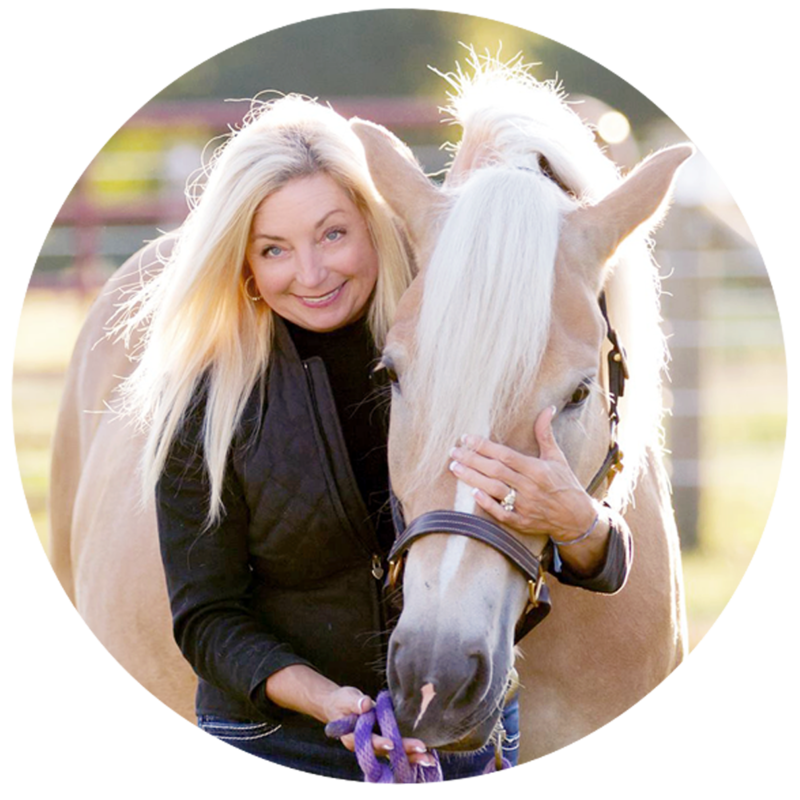 She hosts the blog, The Naturally Healthy Horse, where she regularly shares information on barefoot, equine nutrition, and holistic horse health. Once an avid barrel racer, Casie now enjoys just giving back to the horses who have given her so much. Follow Casie at www.casiebazay.com. Pour yourself a cup of coffee, pull up a chair and join me. 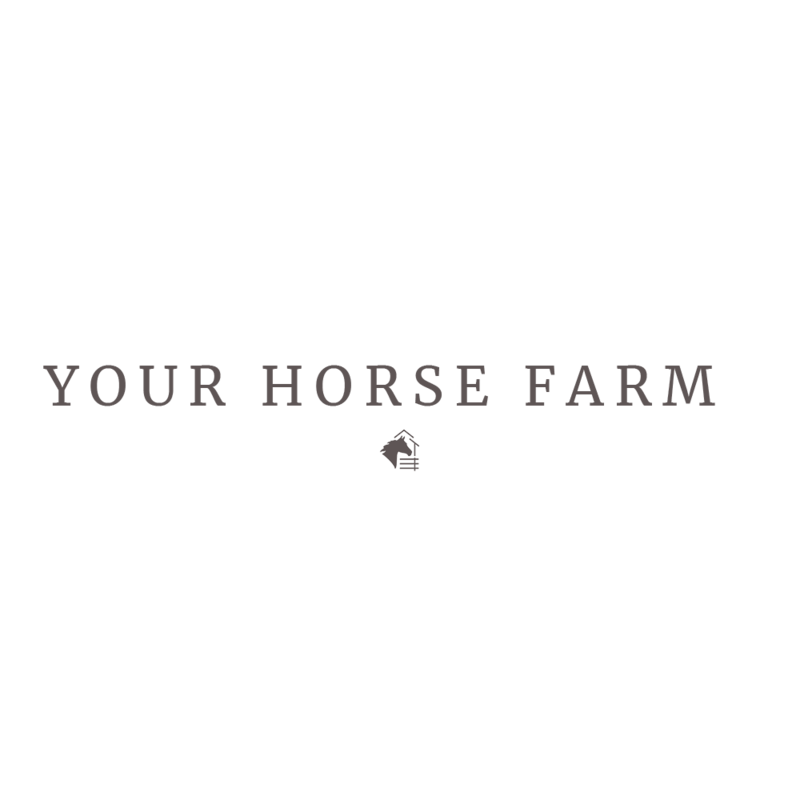 I would like to invite and welcome you to our horse farm! My name is Debbie, the matriarch of our Disbrow family and company, RAMM. I am a daughter of the King, wife, mother, company owner and longtime equestrian. I truly look forward to sharing ideas and thoughts with you. As horse owners learn one from another, I look forward to meeting you and learning more about your thoughts at the farm. Laugh much & ride often!